We are pleased to announce our first Hospice Caregiver winner. Each month we will select one Hospice Caregiver to honor based upon a review of nominations received from peers, friends, patients and their families, and others who feel a particular person excels in her or his profession. The monthly winner will receive a gift card that can be used for whatever the recipient decides and an award. 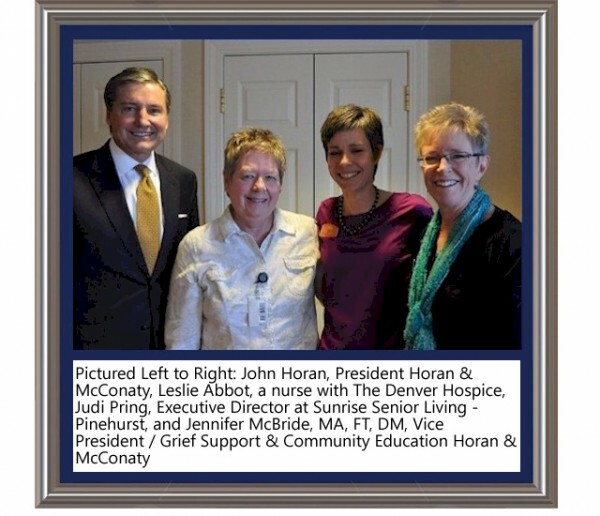 Here are a few words from Judi Pring, Executive Director at Sunrise Senior Living at Pinehurst about why she nominated Leslie. “She is compassionate, knowledgeable and professional. When families are struggling with the dying process, Leslie has a way of putting them at ease through her presence and her vast knowledge. I really appreciate Leslie’s understanding of the Alzheimer’s disease process and the impacts of dementia on a person and on families. She is an expert with this population and understands the unspoken needs of these residents. She displays an extra measure of compassion to families as they deal with their struggles watching a loved one suffer from this disease. If I had to choose a hospice care provider for my own family, I would not hesitate in choosing Leslie. “, says Pring. Congratulations to our January 2013 winner Leslie Abbott, a nurse with The Denver Hospice.